Thank you so much for sending me your Christmas food traditions. I was sincerely touched by all of them. You have some amazing family traditions stories. I’m wondering how I can fit them all into one the month of December. I have decided to have you all adopt me into your family so that I can experience all of your fabulous Christmas traditions. Aarthi my family and I would like to adopt you and your traditions from India. We stood around the computer and read about the fabulous foods your make while our mouths were watering. I remember many traditions from my childhood, but I remember special treats brought to our house by neighbors the most. Every gift was a homemade delight. Liala’s Norwegian cookies topped the list. Today our family looks forward to Becky’s Baklava (we say with reverence) or Lisa homemade fudge sauce (amazing). I think we have become so busy with the holidays that these homemade traditions are starting to fade. I believe we need to pass them on to our children and grandchildren. Let the legacy continue. Thank you for making my Christmas so wonderful with your stories and traditions. I am in awe with how much you do. Le Bete Noir if you are a chocoholic. 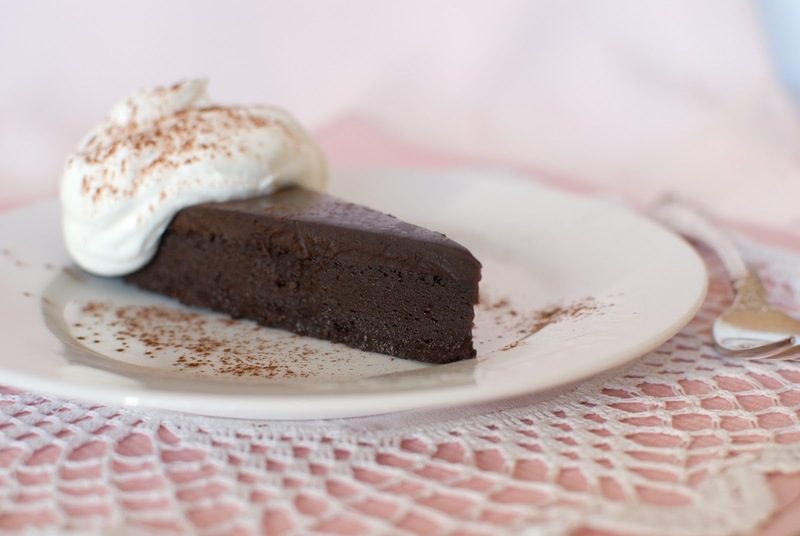 This is a deep chocolate flourless torte. It is so easy to make and can be made several days in advance. It can also be frozen and removed from the freezer a few hours before you want to serve. I have posted this in three separate posts to make it less daunting. Two fabulous chocolate desserts that would completely impress your family and friends. Sorry about that. It's fixed. Let me know if you have problems pulling it up. You should be able to find it in the pull down menu as well. Thanks for bringing the problem to my attention. I really appraciate it. I am so happy Joni won!!! WOW! I neeeeed to make that Dark Chocolate Crepe Cake. DH would love that!